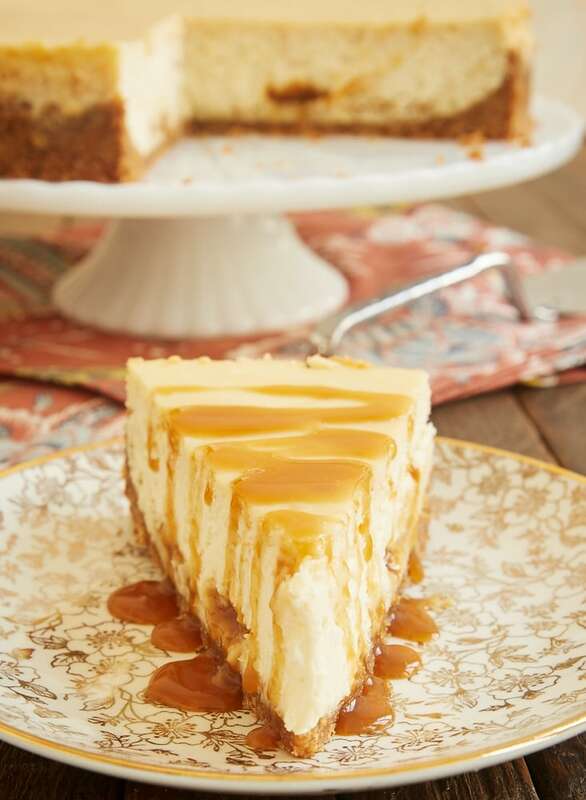 Bourbon Caramel Swirl Cheesecake is wonderfully rich, sweet, and bold. 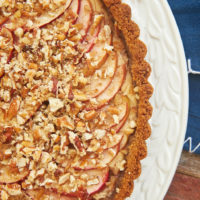 Caramel and bourbon are a perfect pair for a really amazing dessert! I tend to think of cheesecakes as seasonal. 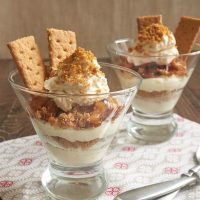 Sure, I make plenty of no-bake cheesecakes during the summer, but I feel like the amount of oven time required for baked cheesecakes makes them a better candidate for cooler weather. 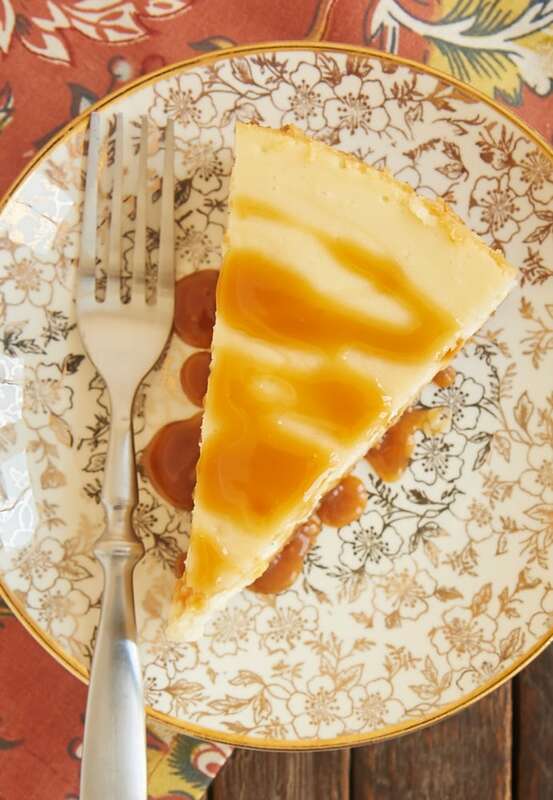 Add in some caramel and a little bourbon, and this cheesecake is definitely made for fall and winter. The recipe for this cheesecake evolved a bit as I was testing it. I had originally envisioned a topping for it, but one taste was enough to assure me that it didn’t need another thing. 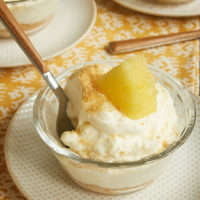 I added just an extra drizzle of caramel when serving, and that was plenty of embellishment. I used a store-bought caramel sauce for the caramel swirl. If you have a homemade caramel you prefer, then feel free to use that instead. Whether you use regular or salted caramel is up to you. The salty flavor won’t be very bold once it’s mixed with the cheesecake, so think about which you’d prefer for drizzling over slices when you serve it. The bourbon adds a wonderful flavor and richness. Bourbons have different flavor profiles, so the one you choose will affect the cheesecake’s flavor. I chose one with a buttery, spicy flavor, but there are some with notes of vanilla, caramel, citrus, and all sorts of great flavors. Personally, I am not a bourbon drinker. My experience with it is that I enjoy the aftertaste of it far more than the actual taste. The flavor in the cheesecake reminds me of that wonderful aftertaste. It’s warm and spicy and really just fantastic. This baking method is pretty much the only way I bake cheesecakes. No terrifying water baths! It does require a lot of time, but it’s hands-off time while the cheesecake is in the oven. 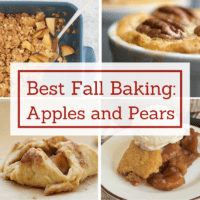 Just keep the total time in mind when you start baking. Be sure not to skip that last bit of oven time. At first glance, it may seem unnecessary but this method is the best way I’ve found to prevent cracking. As with most cheesecakes, this one comes together quickly and easily. But, of course, the best part is the spectacular flavor. The rave reviews it gets are pretty great, too. 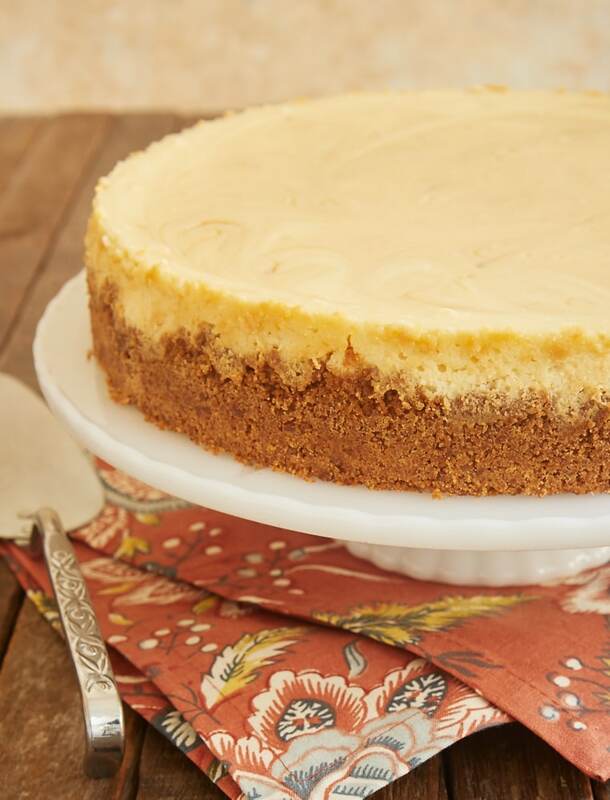 You’ll love the fantastic flavor of this Bourbon Caramel Swirl Cheesecake. 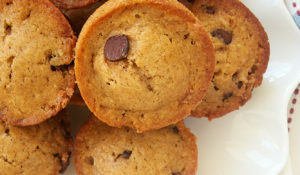 The combination of rich caramel and buttery, spicy bourbon are a perfect pair! 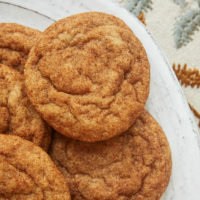 Combine the graham cracker crumbs and butter until thoroughly mixed. Press evenly into the bottom and partially up the sides of the prepared pan. Bake 10 minutes. Set aside. Using an electric mixer on medium speed, beat the cream cheese and sugar until thoroughly combined and smooth. Add the eggs, bourbon, and vanilla, and mix well. Mix in the sour cream. Transfer about a third of the filling to the partially baked crust. Drizzle about 1/3 of the caramel over the top of the batter. Use a thin knife to swirl the caramel into the batter. Decrease the oven temperature to 200°F. Bake for 2 hours. Remove the cheesecake from the oven, and run a thin knife around the outside edge. Turn off the oven. Return the cheesecake to the oven. Leave the cheesecake in the oven for 2 hours. Cover the cheesecake loosely and refrigerate at least 8 hours. Serve with more caramel sauce if desired. *The weight will vary depending on the specific caramel sauce. If in doubt, measure by volume. I’m been an avid baker for three decades now. I must have made 100 cheesecakes. This one is, by far, the best! My husband says it’s the best cheesecake he’s ever had…big words from an Italian. That’s so great to hear, Stacey! Thanks for letting me know how much you and your husband liked the recipe. 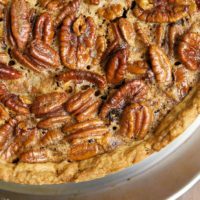 What type of bourbon did you use in the recipe? Hi, Andrea. I often use a local straight bourbon whiskey called Widow Jane, but any kind will do. Hi, im making this for my dad birthday, he’ll be 65 tomorrow. He loves cheesecake & Bourbon. Do the eggs need to be room temperature? The eggs can be cold or at room temperature. Would like to make, but is the bourbon flavor very strong, or subtle? I wasn’t quite sure after reading. Hi, Susan. For the volume of cheesecake batter, it’s a relatively small amount you’re adding. It’s not overpowering, but you know it’s there. I baked this yesterday, served it today, for my dad’s birthday. Huge hit, rich and delicious. 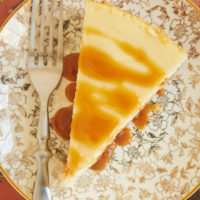 I usually can’t stand whiskey (my dad picked out a rye whiskey for it, rather than a bourbon), but it made for a really complex flavor that went great with the cheesecake, without any of the paint-thinner burn of straight whiskey. Delicious. I’m glad you enjoyed it, Beth. Happy belated birthday to your dad!